Vatican Treasurer George Pell must face trial on charges of historical sexual abuse offences, an Australian court has ruled, making him the most senior Catholic official to be tried on such allegations. The 76-year-old cardinal pleaded not guilty in Melbourne on May 1, Reuters news agency reported. Magistrate Belinda Wallington said that Pell's case will proceed to trial in a Melbourne court, following a month-long pre-trial hearing. Pell left court without commenting, surrounded by police and with his legal team. However, Pell will remain on a leave of absence from his Vatican position as he faces charges of "historic sexual offenses" in his home country of Australia, the Vatican has announced, Catholic News Agency reported. The full details and nature of the charges have not been publicly revealed, and it's unknown when the trial will begin. The decision to go to trial came after a month-long preliminary hearing in Melbourne, Australia's second city. The cardinal is accused of misconduct dating back decades, during his first years as a priest until he became the Archbishop of Melbourne. He has been accused of groping two boys at a swimming pool in the New South Wales city of Ballarat during the 1970s, as well as assaulting two members of a choir at St. Patrick's Cathedral in Melbourne during the 1990s. More precise details about the charges were not made public. Most of the charges against the cardinal had been dismissed during the preliminary hearing. 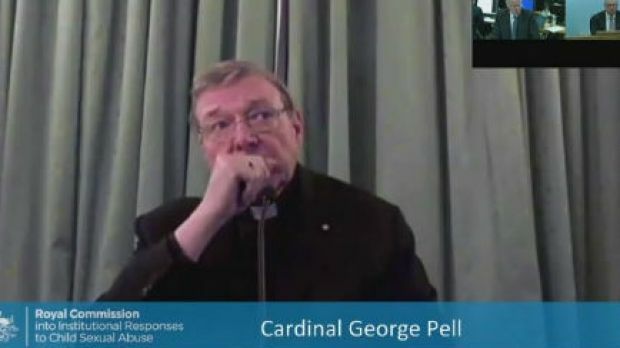 Vatican spokesperson Greg Burke issued statement saying: "The Holy See has taken note of the decision issued by judicial authorities in Australia regarding His Eminence Cardinal George Pell. A statement issued by Pell's lawyers and distributed by the Sydney Archdiocese, his last employer before his Vatican posting in 2014, said Pell had fully cooperated with police investigators and "always and steadfastly maintained his innocence." "He would like to thank all those who have supported him from both here in Australia and overseas during this exacting time and is grateful for their continuing support and prayers," the statement said. Under his bail conditions, Pell cannot leave Australia, contact prosecution witnesses and must give police 24-hour notice of any change of address, The Associatied Press reported. Pell is reported to be the first cardinal to face a criminal trial for sexual misconduct CNA reported. In 2013, Scottish Cardinal Keith O'Brien resigned as Archbishop of St. Andrews and Edinburgh following allegations of predatory sexual misconduct. The Vatican later announced that O'Brien would not continue his duties of a cardinal. He did not take part in the 2013 conclave that elected Pope Francis. The allegations against O'Brien were not reported to involve minors, and he did not face criminal charges. O'Brien died March 19.